Metro has launched another tool to help you get the MetroBus information you need whenever you need it, and this new technology is as easy as picking up your phone. You can now dial Metro Transit Information at 314-231-2345 or 618-271-2345 at any time or day to access the new Interactive Voice Response (IVR) system. With IVR, you’re able to get real-time arrival information on your bus right over the phone. Press 1 to get started. Then, simply enter your MetroBus stop ID number, and the automated IVR system will tell you the next three arrival times for your MetroBus route at that stop. IVR connects with the MetroBus vehicle locator system, so it’s able to provide you with real-time arrival times for your bus. Plus, the system also lets you check if there are any rider alerts impacting any of the routes serving that MetroBus stop. 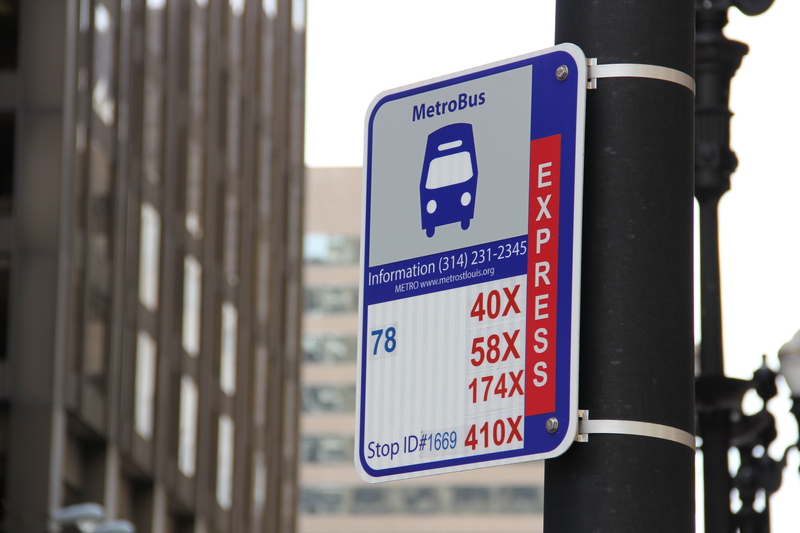 MetroBus stop ID numbers can be found on every MetroBus stop sign in the region. The IVR system is available 24 hours a day, 7 days a week, and doesn’t require any type of internet connection. So, the next time you’re at the bus stop and you want to know when your ride is showing up, give this new resource a try. Let me start by saying that this is absolutely great, and I think it’s a huge step forward. But would like to point out that this ID system might be difficult for those with visual impairments, who are a big part of the bus riding community. Perhaps it’s possible to someday in the future implement something that lets you name your intersection to get near-by stop IDs? I know this is new, and I look forward to future improvements, and am so happy metro is striving to make their information more accessible to all. This is just a thought that I wanted to put out there for future consideration. Emma, thank you for sharing your feedback and we’re glad you like the new transit tool. For the most part, we try and accommodate all passengers of various needs when we deploy new transit technology, including catering to those with visual impairments. To make you aware, our Trip Planner online as well as the Metro On The Go app do allow passengers to plug in a nearby intersection. From there, you will be able to retrieve a stop ID. Thank you again Emma for your feedback. Don’t hesitate to share your ideas with us (we might use them to incorporate in future upgrades). Cheers! Hello! I’m new to the area and was wondering what would my route be traveling from florriesent to the galleria tomorrow? Carols, sorry for the delayed response. Have you gotten your trip information yet? If not, feel free to reach out to us at 314-231-2345.